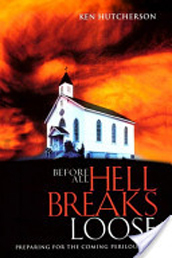 In a time of tremendous economic and social unrest, people everywhere are looking for hope. 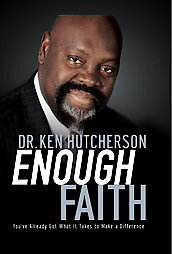 In this book, Dr. Ken ‘Hutch’ Hutcherson offers it to them. The former NFL player, now a pastor, sought-after speaker, and cancer patient, uses penetrating insight rooted in biblical truth to show that real hope comes through understanding and trusting a God who cares more about our character than our comfort. Weaving his story of living well with terminal illness, while opening a window into the lives of other ordinary people, Hutch sheds new light on coping with tough times, tragedy, and personal adversity. 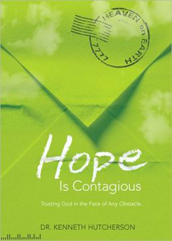 Readers will find that Hope Is Contagious is practical yet inspiring for not merely surviving in turbulent times, but in celebrating, even savoring, every moment. You have all you need. When it comes to trusting God and having the kind of faith it takes to move mountains, you don’t need to go searching high and low for more. You simply need to stand strong in the faith you already have. Don’t think you have enough? It only takes a mustard seed. Based on the Bible as a whole and Jesus Christ’s specific example, Enough Faith reveals often-overlooked truths about the kind of faith God desires in you. Wonder if you’re far too ordinary to accomplish anything extraordinary? Look at Moses. Doubt that God can use your faith to affect others’ lives? Consider Abraham. And learn to doubt your doubt! God’s truth is true all the time. Work with the faith you have—it’s all the faith you’ll ever need. Skim the Book of Acts and you’ll find a church that’s bold, energetic, empowered, unstoppable-a church, in fact, that looks nothing like the one we have today. 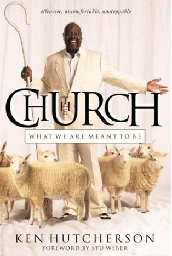 Little wonder so many believers jump from congregation to congregation, searching in vain for “the real thing.” In The Church Ken Hutcherson reveals how God’s original intention for His church has been distorted under stifling layers of tradition, denominationalism, racism, and fear. Only when we strip away those layers will we discover God’s unchanging heart for the church-and His unchanging will for us to be a people of truth, of power, of reconciliation, and of love.